Crafted in contemporary 9ct white gold and set with a hypnotic amethyst, these elegant stud earrings are perfect for adding a pop of colour to any outfit. Wear with complementary white gold jewellery for a fresh, modern feel. 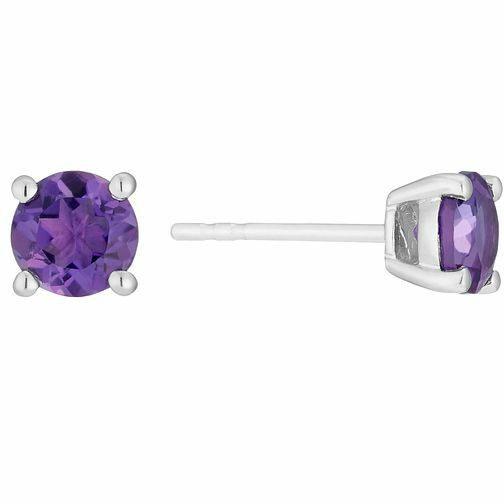 9ct white gold amethyst stud earrings is rated 5.0 out of 5 by 1. Rated 5 out of 5 by Anonymous from Birthday gift The earrings look great and sparkle well in the light. Great gift and well received.